Global biopharmaceutical AbbVie, in collaboration with Neurocrine Biosciences, will present five posters and three oral presentations next week from two Phase 3 studies on Elagolix, their investigational drug for endometriosis. The 72nd American Society for Reproductive Medicine Scientific Congress & Expo (ASRM) Oct. 15-19 in Salt Lake City, Utah, is considered to be the premiere event where significant advances in scientific and clinical research endeavors in the field of reproductive medicine are unveiled. Elagolix works through a dose-dependent mechanism of inhibiting ovarian estrogen production. 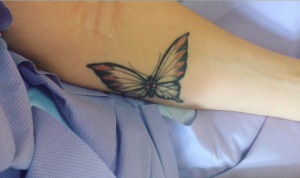 The estrogen inhibition suppresses the disease’s progression by reducing the inflammation and growth that is most often associated with patients’ severe pain. Findings were released by AbbVie earlier this year from a clinical trial investigating the effectiveness and safety of Elagolix in premenopausal women with endometriosis. 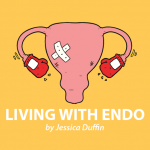 They showed that after six months of treatment, patients reported less menstrual pain and non-menstrual pelvic pain associated with endometriosis at months 3 and 6 of the study, as measured by the Daily Assessment of Endometriosis Pain scale. There were no significant safety events observed. 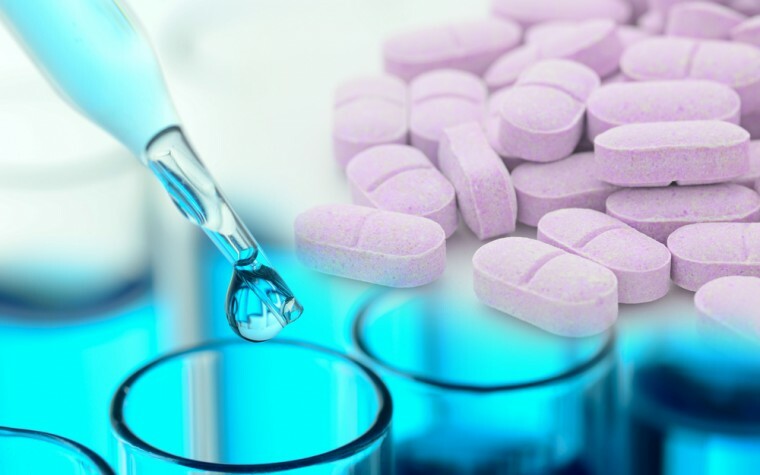 The focus of the data to be presented will be on recently released effectiveness and safety findings from two pivotal Phase 3 studies evaluating Elagolix in endometriosis-associated pain. Also, AbbVie will present data on the economic burden of endometriosis and endometriosis-related surgery on women in the U.S.
“Elagolix, An Oral Gonadotropin-Releasing Hormone (GnRH) Antagonist, For The Management Of Endometriosis-Associated Pain: Safety And Efficacy Results From Two Double-Blind, Randomized, Placebo-Controlled Studies”; Abstract #P440; 7 a.m. to 8:45 a.m. Wednesday, Oct. 19. “Use Of Elagolix For The Management Of Endometriosis-Associated Pain: Secondary Efficacy Results From Two Randomized, Placebo-Controlled Studies”; Abstract #P434; 7 a.m. to 8:45 a.m. Oct. 19. “The Effect Of Elagolix On Bone Mineral Density: Safety Results From Two Randomized, Placebo-Controlled Studies In Women With Endometriosis-Associated Pain”; Abstract #P455; 7 a.m. to 8:45 a.m. Oct. 19. “Incremental Costs of Healthcare and Work Loss Attributed to Endometriosis in a Cohort of Commercially Insured Women”; Abstract #P432; 7 a.m. to 8:45 a.m. Oct. 19. “Incidence of Comorbidities Among Women with Endometriosis: A Retrospective Matched Cohort Study”; Abstract #P457; 7 a.m. to 8:45 a.m. Oct. 19. “The Effect Of Elagolix On The Endometrium: Safety Results From Two Randomized, Placebo-Controlled Studies In Women With Endometriosis-Associated Pain”; Abstract #O232; 11:15 a.m. to 12:45 p.m. Oct. 19. “The Impact of Elagolix on Quality of Life in Women with Endometriosis-Associated Pain: Results From Two Randomized, Placebo-Controlled Studies Using the Endometriosis Health Profile Questionnaire”; Abstract #O229; 11:15 a.m. to 12:45 p.m. Oct. 19. “Direct and Indirect Costs Associated with Endometriosis-Related Surgery Among Employed Women in the US”; Abstract #O230; 11:15 a.m. to 12:45 p.m. Oct. 19. 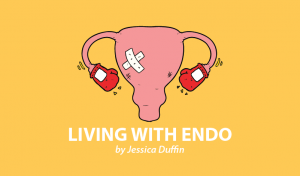 “Endometriosis affects an estimated one in 10 women, and physicians and their patients are seeking alternative options to help relieve symptoms of this disease,” Dr. 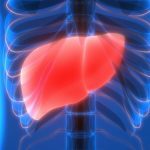 Rob Scott, MD, AbbVie’s vice president of development and chief medical officer, said in a press release about the data that will be presented. 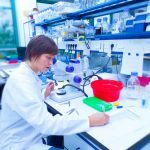 “The data highlight the efficacy and safety profile of Elagolix in the treatment of pain associated with endometriosis, and underscore AbbVie’s efforts to help address the needs of women suffering from endometriosis,” he added. Tagged 72nd American Society for Reproductive Medicine Scientific Congress & Expo, AbbVie, Elagolix.